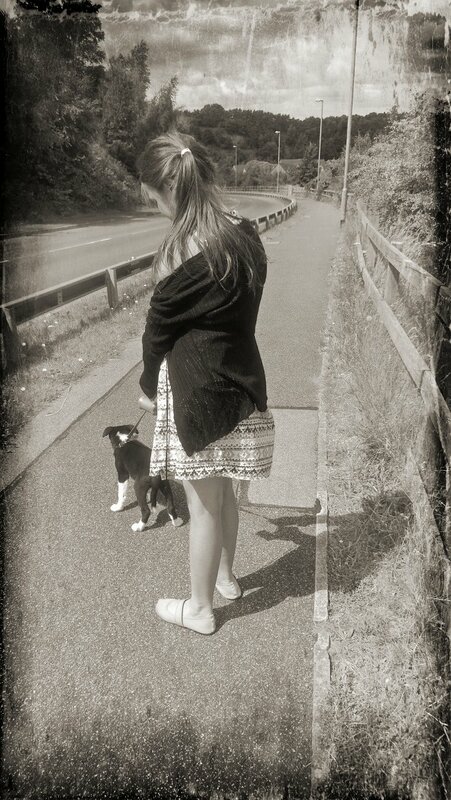 The B&W Photography : Mini Me And Molie. I love how keen Mollie looks to be off and moving again! |Haha, she keeps looking for cars to chase! Lovely family photo. I like the shadow. Haha Sherry, you are right! she does take us all for a walk!! Love the effect on this photo!